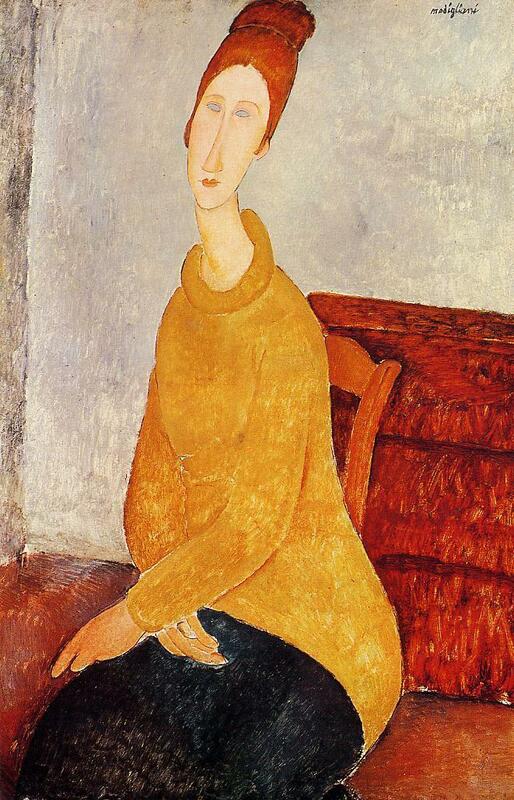 Modigliani's friends described his last companion as a talented young artist who, in her lover's presence, always remained imperturbably silent, to the extent that some of those who met her claimed that they never heard her voice. This image of Jeanne Hebuterne - whom her friends used to call "Coconut" for her peculiar auburn hairdo - effectively conveys her gentle and somewhat languorous demeanor. The composition is divided into broad fields of color in a subtly decorative manner; the figure's sinuous silhouette stands out uninterrupted against the background.